I have a question with PDF Toolbox. 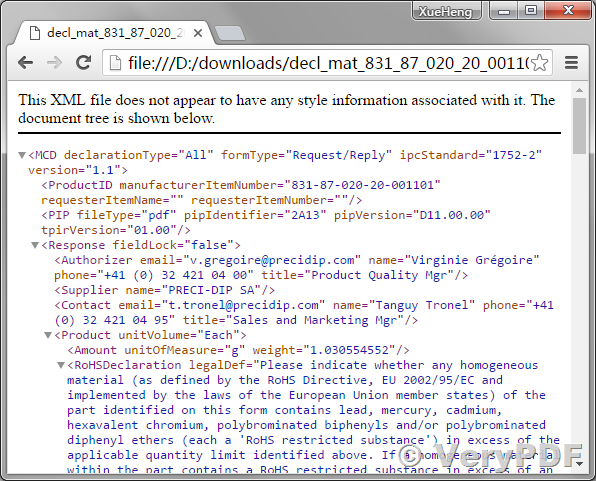 I would like to insert the information that are "decl_mat_831-87-020-20-001101.xml" in the file "A_IPC-1752-2_original.pdf" with the function "fillform.bat". Is that it works only with FDF format? Do you have another solution to complete this form automatically? 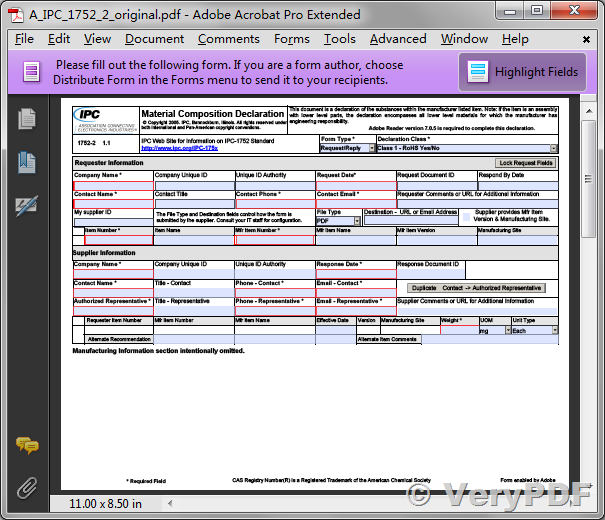 How to merge PDF by VeryPDF PDF Toolbox Command Line? 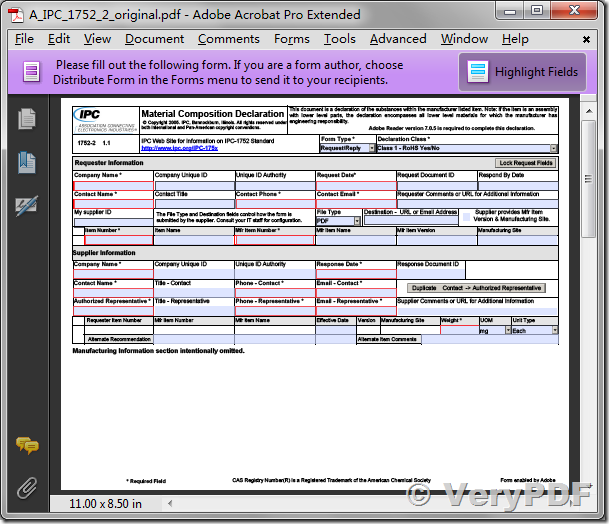 How to make interactive PDF form to normal PDF file? 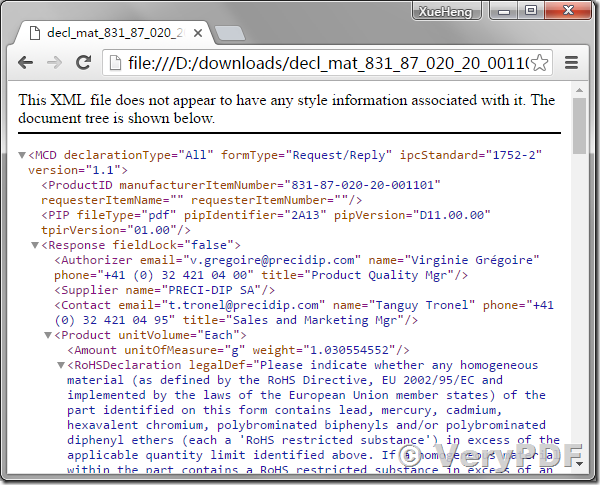 This entry was posted in PDF Toolbox Command Line and tagged fill PDF form, pdf toolbox. Bookmark the permalink.